Kangra There are 8 products. Kangra Tea is often compared to Darjeeling Tea to get a frame of reference. 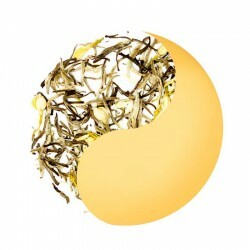 But, it’s different and Kangra fully deserves to be recognized as a distinct origin.White Tea is made from leaves harvested while very young, and the buds are still covered in very fine, white hairs. Like green tea, the leaves are not fermented. This Hand-rolled oolong is a must-try for anyone seeking to learn more about tea on a deeper level: this is an exercise in the taste of 'terroir', the place where the tea is grown. 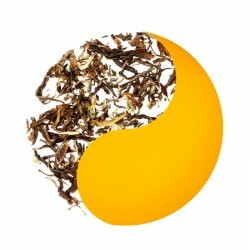 Kangra Tea is often compared to Darjeeling Tea to get a frame of reference. But, it’s different and Kangra fully deserves to be recognized as a distinct origin. 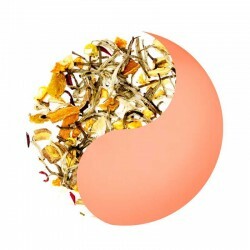 The luxury white tea is blended with aromatic rose petals. Handpicked from the most delicate and tender portions of the tea bush, early morning and just before sunrise, this White is a class apart. 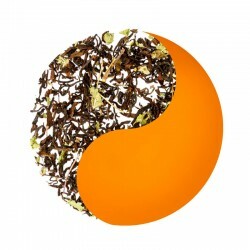 To further its richness, our master blenders added other herbal and fruit flavors. 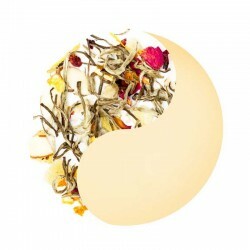 This is a perfect blend that is truly unique with classic white tea base! Kangra Tea is often compared to Darjeeling Tea to get a frame of reference. But, it’s different and Kangra fully deserves to be recognized as a distinct origin. 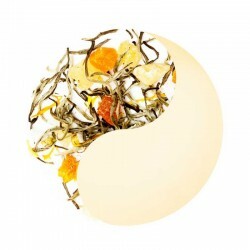 The luxury white tea is blended with aromatic dried Jasmine flowers. 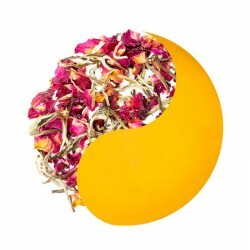 This is a cocktail blend of luxury Kangra valley white tea, Pineapple, Coconut, Rose Petals, Marigold, Apple bits, Orange bits, and Rosehip pieces. 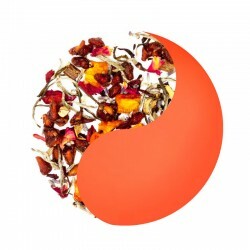 A tea which would surely revive and rejuvenate your mood.